Dear Truckers, today we are coming to you with something special and really important. We have received an urgent letter from Santa Claus himself, and oh dear it contained nothing good. In fact, this year's Christmas is in grave danger. and now they are nowhere to be found. Various national legends call them different names – Grinch, Jólakötturinn a.k.a. the Christmas Cat, Hans Trapp, Belsnickel, Père Fouettard, Krampus or Grýla. very moment with his magical cargo, he certainly does not have any time now for tracking and catching these spirits! Unless... we all lend our helping hand! It is up to us, dear fellow truckers. If there is anybody qualified to help with this long haul gift logistics business, it's us! 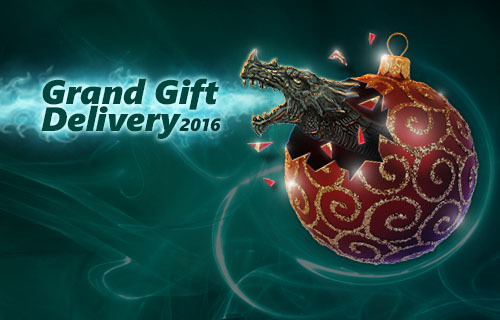 Our help can provide Santa with much needed relief to hunt these “dragons” down. Will you help us save Christmas? Together, we will prevail. And there is something to look forward to as well! Our reward will be more than just feeling proud about saving Xmas. Santa himself has promised to return the favor. Once the dragons are in chains again, he will offer to permanently decorate our mighty diesel beauties with the touch of these dragon forms. cities across European or American continents. Log in to your World of Trucks account to begin. Event ends at January 1, 2017.
and one for American Truck Simulator, plus a special World of Trucks achievement. 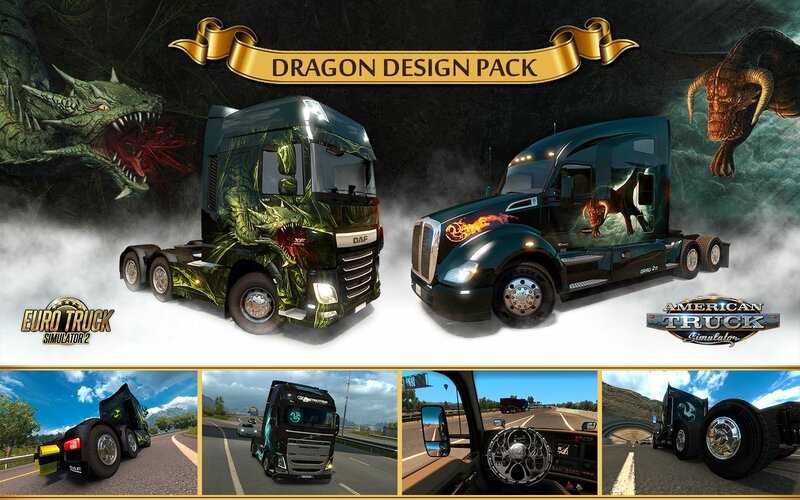 Game updates 1.26.3 for ETS2 and 1.5.2 for ATS is required for participating in the event. You will not be able to buy this DLC, it has to be earned! Everyone who passes the requirements will get keys of this DLC for both games, even if you don't have one of these games yet. Please, put on your warmest coat, grab some hot chocolate or coffee, and start your engine. We have some work to do! 1 Merry Christmas and Happy New Year!